Production Work Table Size: 12" x 16-1/2"
Base Table Size: 13" x 16-3/4"
Vert. Adj. of Work Table in One Setting: 11"
Max. Dist. 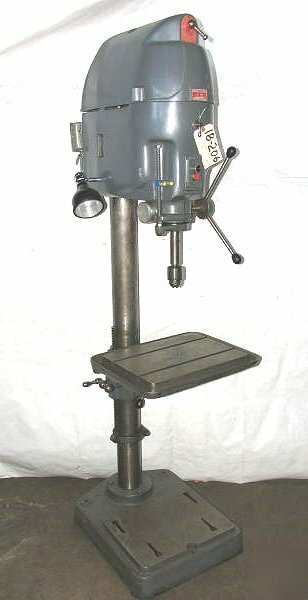 Spindle Nose to Work Table: 27.5"
Max. Dist. Spindle Nose to Base Table: 40"